Watch Dogs on PC skipping uPlay? One of the worst things about playing Ubisoft’s otherwise excellent PC games is that they’re saddled with that blasted uPlay nonsense. It’s especially egregious when the digital versions of those games are purchased through Steam – causing both bits of DRM to hog up memory. South Park: The Stick of Truth abandoned uPlay on the PC, and rumour suggests Watch Dogs may do the same, by using Steam. It suggests that the PC version of the game will use Steam in place of uPlay, though it doesn’t explicitly say that uPlay won;t be used at all. I’m hoping, with all my finger and toes crossed, that Ubisoft saw the reception South Park’s uPlay omission received, and have spent the Watch Dogs delay removing any and all traces of that garbage from the game. Unfortunately, I just don’t see this happening. Whereas Stick of Truth was developed by Obsidian and published by Ubisoft, for most of its life it was set to be published by the now defunct THQ. 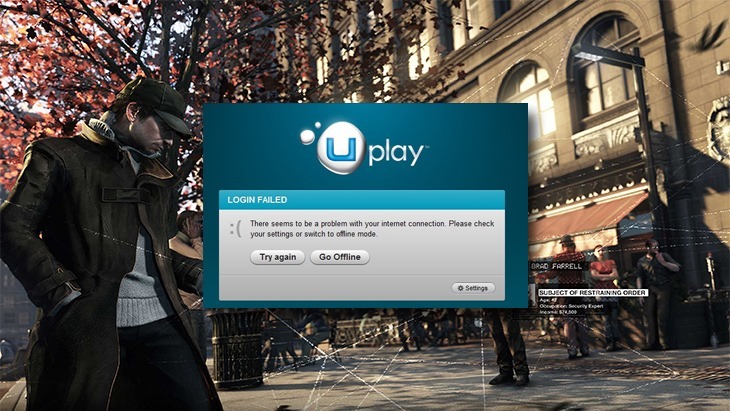 Watch Dogs is entirely in-house, and has probably had uPlay nonsense baked in from the start. We’ve contacted Ubisoft and asked for clarification, and will let you know if we hear anything.